Senate minority leader-elect Chuck Schumer. 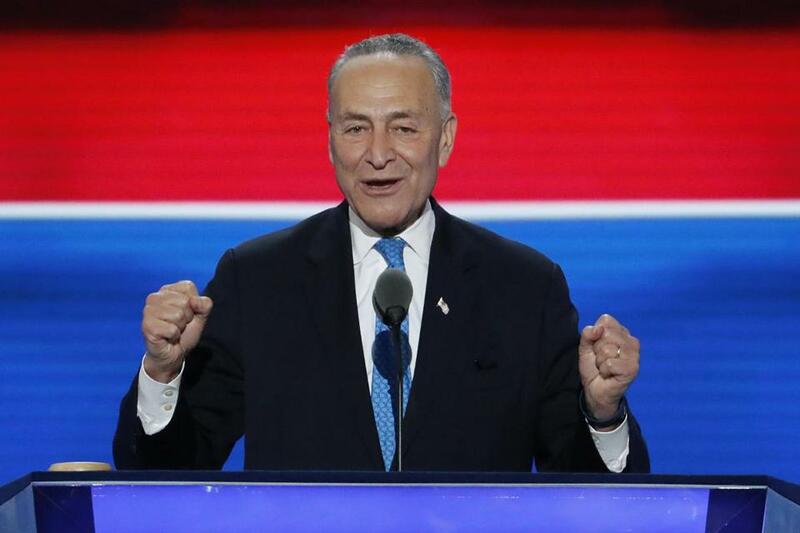 Sen. Charles Schumer, D-N.Y., was elected as the next leader of Senate Democrats on Wednesday, establishing him as one of his party’s most senior officials in Washington and Democrats’ primary partisan counterweight to a Trump administration. In a gesture to his party’s progressive wing, Schumer added Sen. Bernie Sanders, I-Vt., to a junior role in his newly expanded leadership team. The New York Democrat had hoped to become Senate majority leader if Democrats recaptured the Senate majority this year, working closely with a Hillary Clinton administration. Yet the former head of the Senate campaign arm may agree with some of the new president’s priorities, including an infrastructure proposals to rebuild the country’s roads, tunnels and bridges. “In a democratic society we can disagree all we want over issues, but racism and bigotry cannot be part of any public policy,” Sanders said. Sen. Richard Durbin, D-Ill., will serve as party whip and Schumer’s chief deputy, maintaining a role he held under outgoing Senate Minority Leader Harry Reid, D-Nev.
Sen. Patty Murray, D-Wash., will serve as the third-ranking Democrat, foregoing a challenge to Durbin but assuming a new title of assistant Democratic leader. Among Republicans, Senate Majority Leader Mitch McConnell, R-Ky., was reelected unanimously by colleagues on Wednesday morning. He has faced no public challenges to his leadership. During a closed-door organizing meeting, his unanimous reelection was greeted by a standing ovation of fellow Republican senators, aides said. Schumer also expanded the Democratic leadership team to 10 members, adding Sanders, I-Vt., Joe Manchin, D-W.Va., and Tammy Baldwin, D-Wis., adding more ideological, geographic and gender balance. Baldwin is also the first lesbian senator to hold a leadership role. Manchin said he was pleased to take the position and denied speculation that he was given the post as a way to keep him from leaving the Democratic caucus. A moderate Democrat and former West Virginia governor, Manchin has been especially critical of Reid’s leadership and his recent comments denouncing Trump’s victory. On Wednesday, he said he plans to be a partisan bridge-builder - and that he hopes his fellow Democrats play nice with the opposition. One key party post remains unfilled: chairman of the Democratic Congressional Campaign Committee, who will be tasked with electing Senate Democrats in 2018 -- a year when they will be defending 25 seats and will have scant pickup opportunities among eight GOP-held seats. ‘‘It’s no longer what it used to be,’’ Durbin said of the job, citing the new leading role of Super PACs in Senate campaigns. One potential pick is not even a senator yet: Sen.-elect Chris Van Hollen of Maryland would not confirm or deny Wednesday that he is in talks to assume the post. As a House member, Van Hollen chaired the Democratic Congressional Campaign Committee during the 2008 and 2010 election cycles. Schumer, 65, was born and raised in Brooklyn and has an undergraduate and law degree from Harvard. He is the first Jewish man and first New Yorker to serve as a Senate leader, capping a legislative career that began with his election to a New York Assembly seat in 1975. He served three terms in the state Assembly before winning a U.S. House race in 1980 and his Senate seat in 1998. In a recent interview, he admitted to feeling a bit listless and disregarded earlier in his career in a chamber led by then-Senate Majority Leader Tom Daschle, D-S.D., and flirted with a New York gubernatorial bid. But when Reid became the chamber’s top Democrat, he tapped Schumer to lead the Democratic Senatorial Campaign Committee from 2005 to 2009, and Schumer directed his political and fundraising acumen at electing 14 new Democratic senators in the 2006 and 2008 cycles. Most of those senators are still in office and have enthusiastically backed Schumer’s bid to serve as Democratic leader since well before Reid announced his retirement plans last year. Schumer and Reid have developed a close bond, with Schumer describing Reid as his best friend in the Senate and a brother. 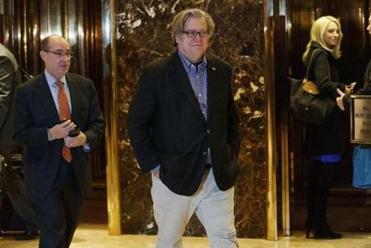 They were spotted conferring on the Senate floor Monday evening with aides, likely preparing for Wednesday’s leadership elections. In his first remarks as leader-elect, Schumer acknowledged he would be grappling with a debate inside the Democratic party over whether to make a new appeal to white working-class voters who flocked to Trump, perhaps at the expense of other parts of the Democratic coalition. In addition to filling out their leadership team, Democrats also rearranged who would serve as their top members on several committees. Sen. Patrick J. Leahy, D-Vt., the chamber’s longest-serving Democrat, will be the party’s top member on the Appropriations Committee. That allows Sen. Dianne Feinstein, D-Calif., to become ranking Democrat on the Judiciary Committee - setting her up to be a key partisan critic of whomever Trump nominates to serve on the U.S. Supreme Court. Sen. Mark Warner, D-Va., will become the top Democrat on the Intelligence Committee, giving him oversight of the CIA, which is based in his home state.